The Upper Clear Creek rafting trip is ideal for the beginner or experience rafter that is looking for a bit of a paddling challenge while taking in amazing views of Colorado's unique terrain. 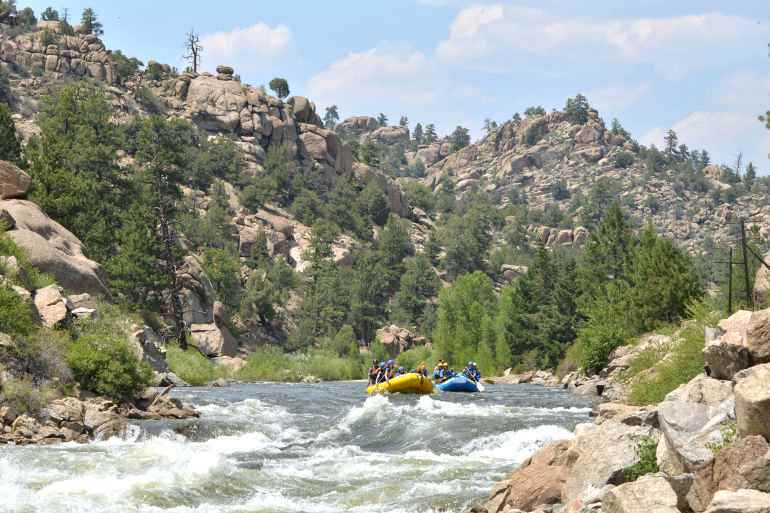 Located just 30 minutes from Denver, the Upper Clear Creek trip is convenient to travel to and allows you to have some of the day left to enjoy other activities in the Denver area. 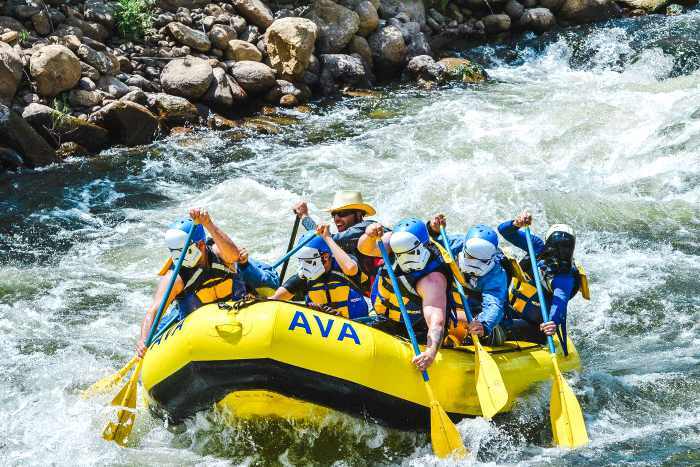 The Upper Clear Creek rafting trip is ideal for the beginner or experienced rafter that is looking for a bit of a paddling challenge while taking in amazing views of Colorado's unique terrain. The tour will start off with mild water speeds and gradually pick before you hit the first rapid on this exciting stretch of Clear Creek. During this wet 'n' wild adventure you will crash through 8 miles of rapids, including "Nomad", "Phoenix Holes" and "Outer Limits".